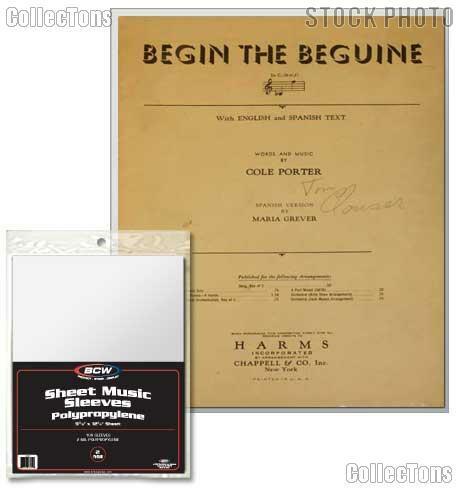 We are pleased to offer for sale these Sheet Music Sleeves by BCW, pack of 100. These Sheet Music Sleeves are made of completely transparent 2 mil polypropylene. Acid-free, archival quality polypropylene construction makes these Sheet Music Sleeves ideal for long-term storage of collectible sheet music. The dimensions of these Sheet Music Sleeves are 9 3/8" x 12 1/4".